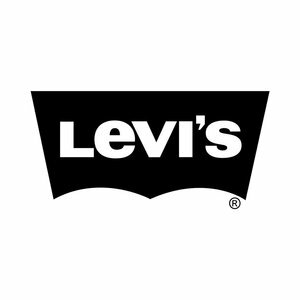 They flipped it and reversed it. 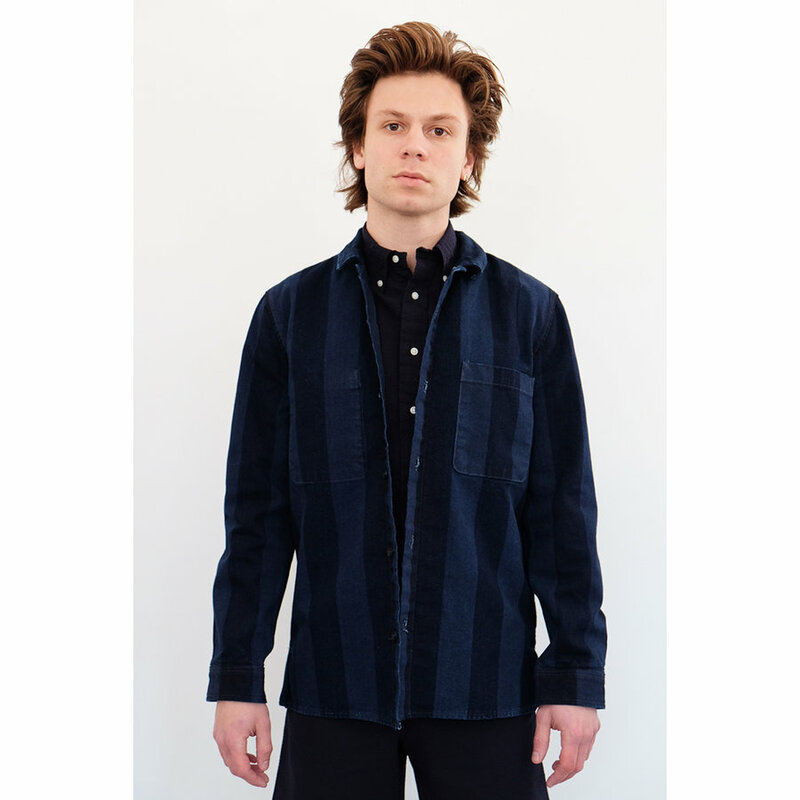 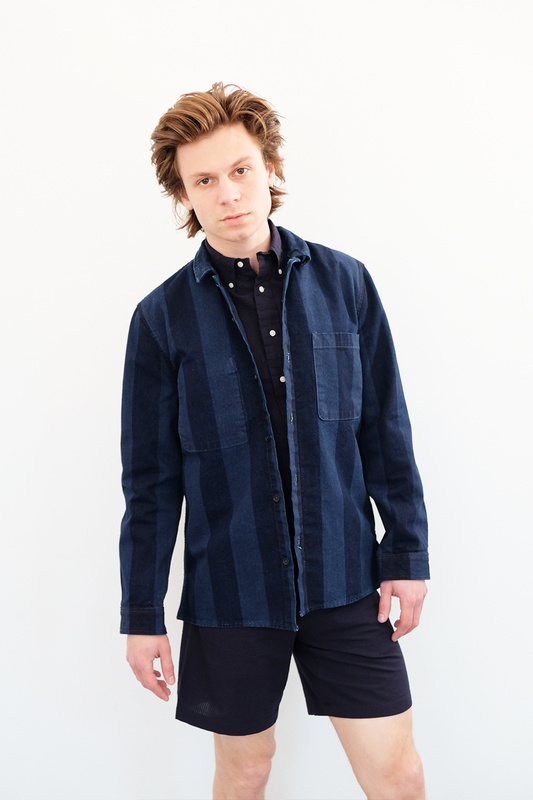 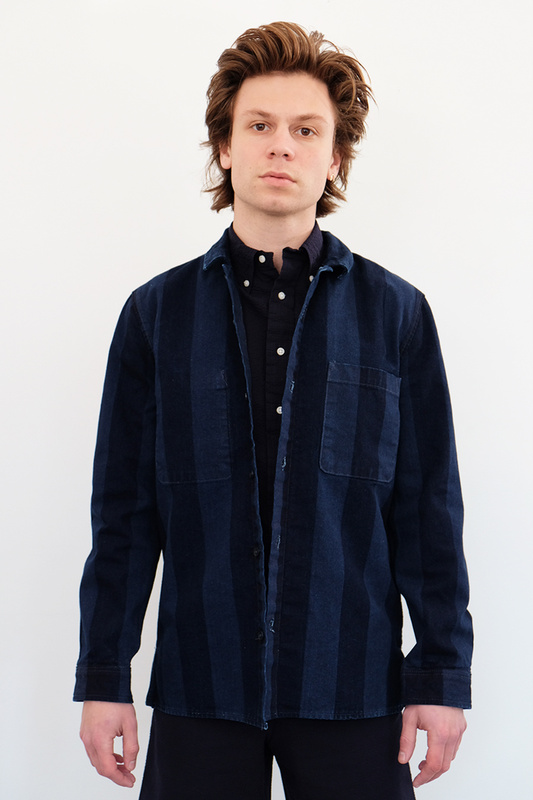 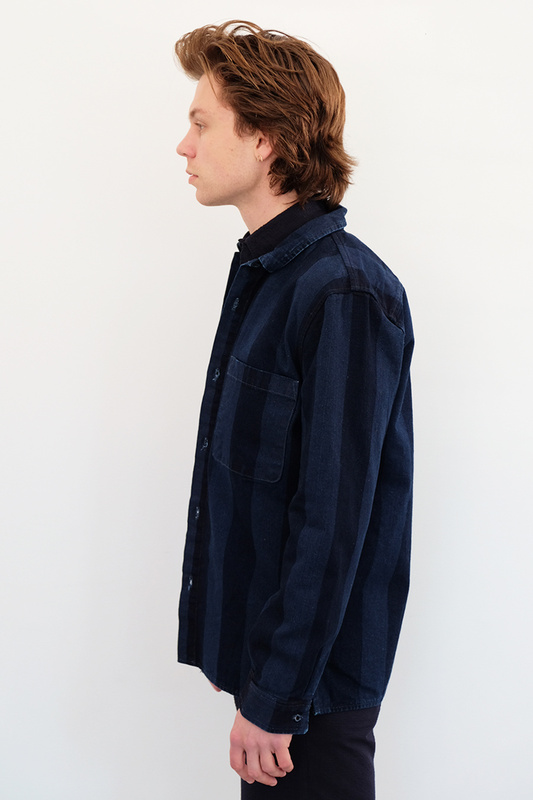 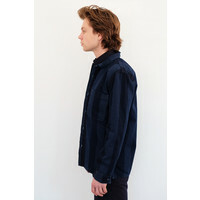 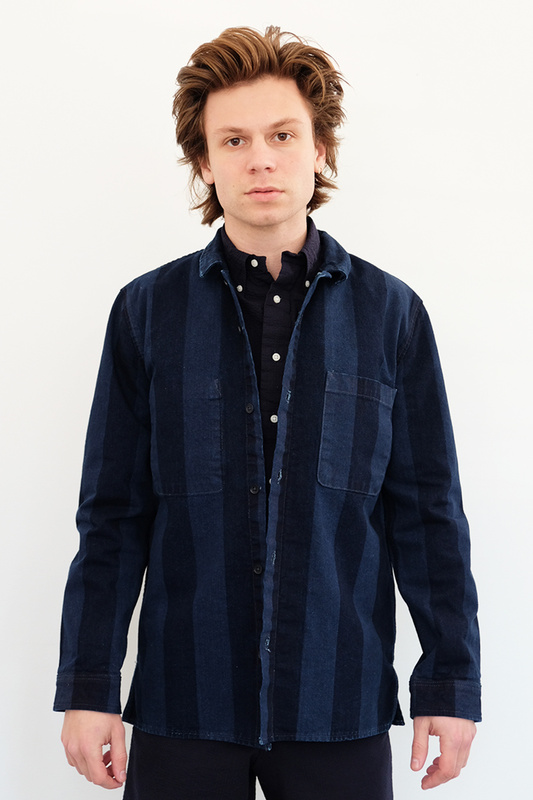 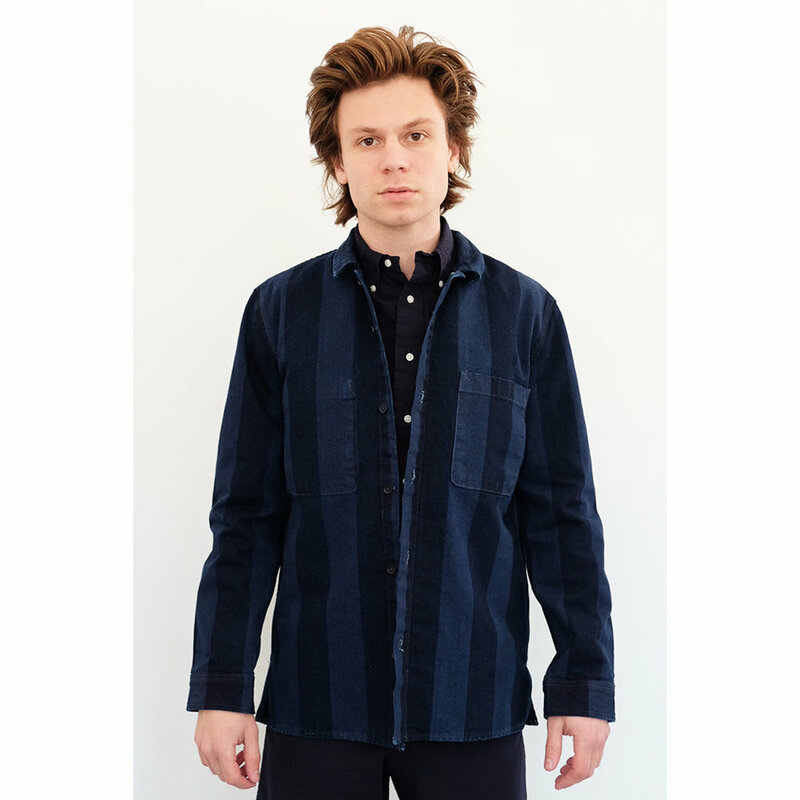 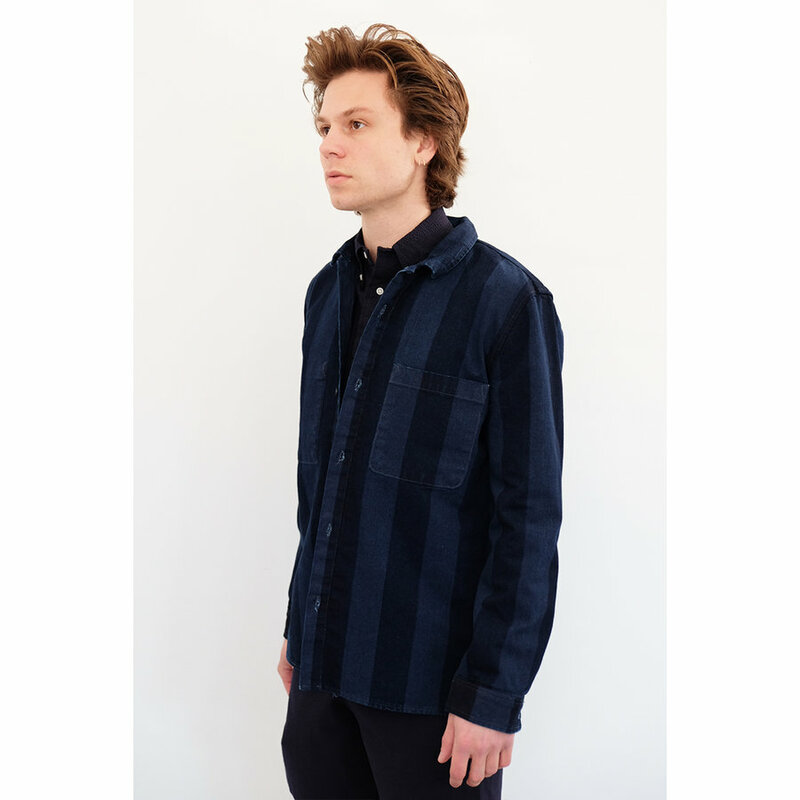 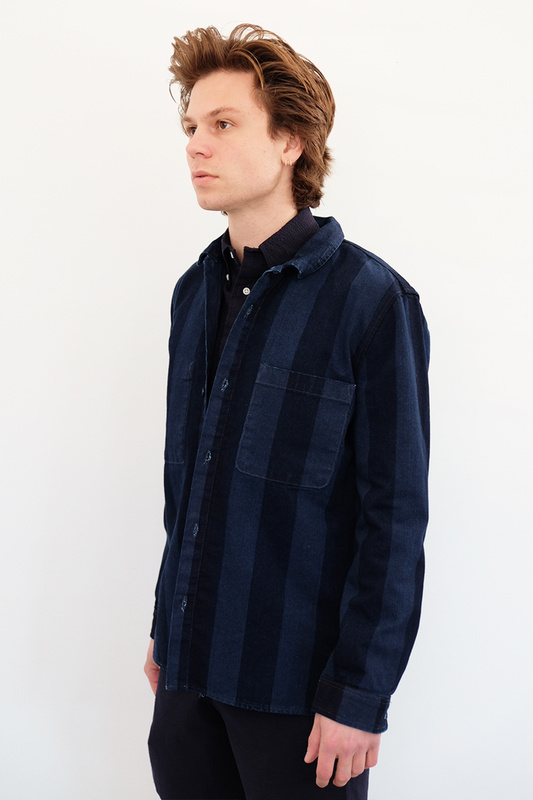 This special workshirt from Levi's is made of a special over-dyed indigo Japanese denim, featuring breast pocket and reverse stitching across the chest. What will wear in over years to be a wardrobe staple starts in a subtle, bold striped denim with regular shirting fit. 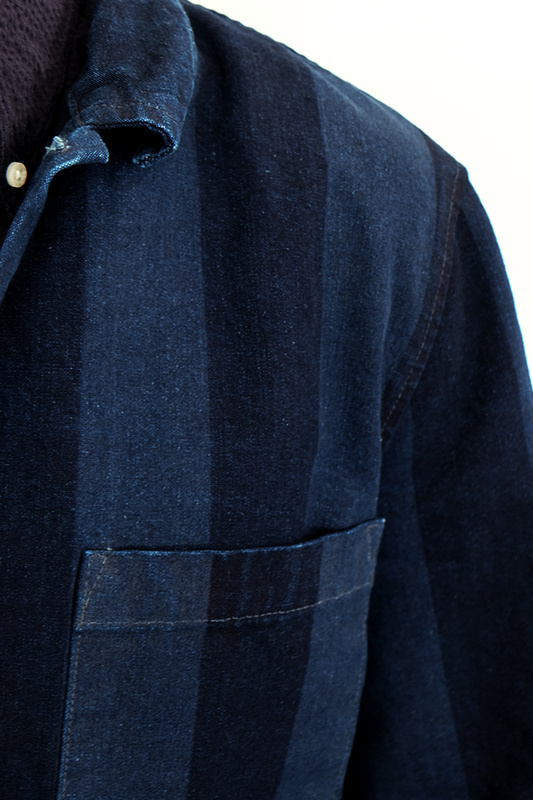 Feel free to size up if you like it to fit over other layers like a sweatshirt- which we think would look pretty good. 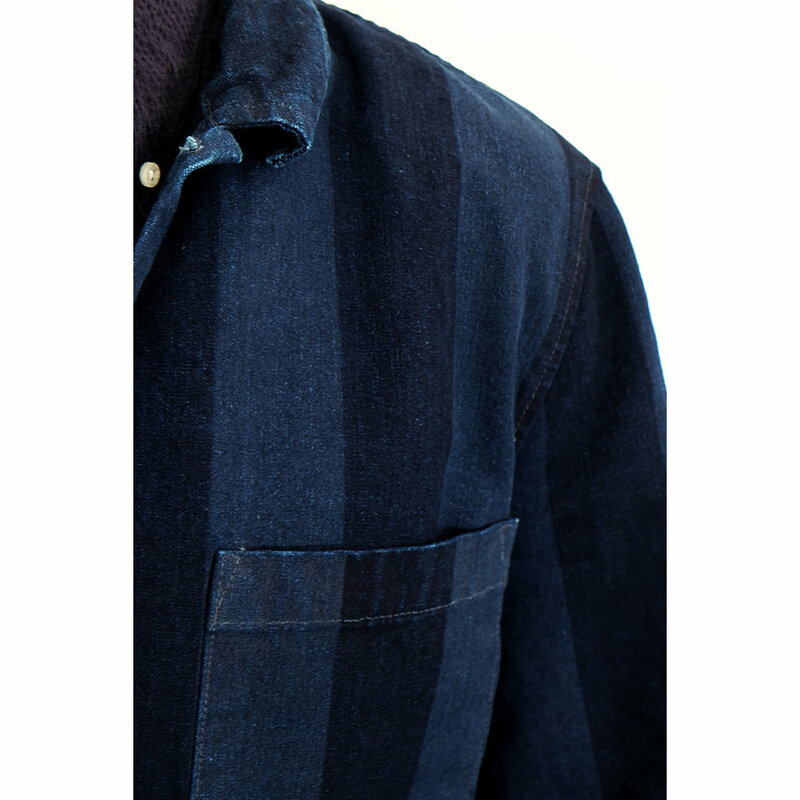 Care: Wash cold, tumble dry medium.